[By Nick] With the huge selection of Perry's flavors carried at the Niskayuna Co-op‎, it's strange that I've yet to pick up a container to review. I mean I was so excited when I saw all of the flavors but I guess it still slipped my mind. I'm not going to lie, I've wanted to try this one for awhile. Most coffee flavors tend to just only include chocolate/espresso chips as mix-ins but a promise of a thick bitter-sweet fudge swirl along with fudge chunks is something I'm down for. The coffee base is far richer than most I have encountered. It has an undeniable milkiness with a robust coffee bean finish. They weren't lying when they said it was a bitter-sweet fudge because this stuff is on par with a dark chocolate fudge. 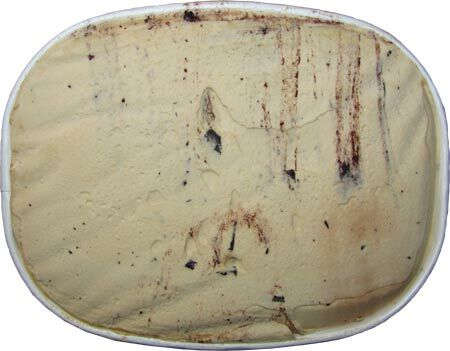 I'm glad Perry's didn't take the easy way out and use a syrupy swirl because this one ranks right up there with Chocolate Shoppe's and Moose Tracks fudge. I think I actually might like this more than I do those two because of the flavor. You all know I'd take dark chocolate over milk chocolate any day and that holds true here. 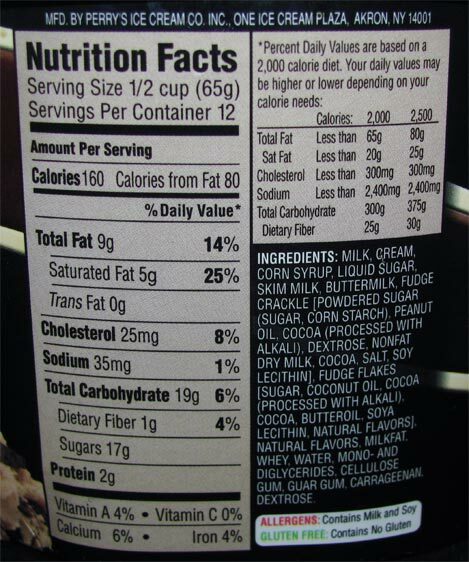 Now as for the fudge chunks, we'll they're more like flakes. They aren't really all that big but they embody that same amount of bitterness you get from the swirl. 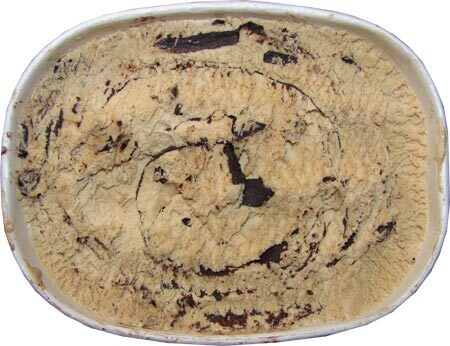 While I can see some people thinking that including both a fudge swirl and fudge chunks is redundant, they actually both fit in perfectly here. Since each has their own texture, you're able to get a crunch here and there with the chunks and a chewiness from the swirl. 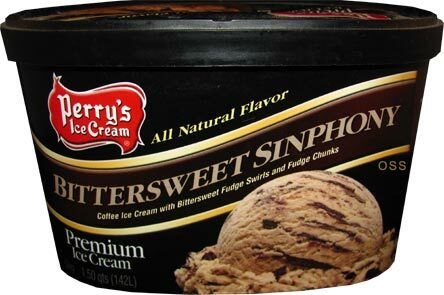 Perry's went above and beyond my expectations with this ice cream. I believe it's also might be my favorite mainstream coffee flavor and right up in my Top 5 overal for coffee ice creams. Good job, Perry's! Now which flavor to try next? Well, either way this looks yummy! Shi Shia, I think they were going for it being "sinful". It was definitely yummy though! Try the Dannon Oikos Café Latte next! Stride, don't worry that is on my list. I was referring to which Perry's flavor I should try aha. There is a lot of Perry's in Buffalo....a lot! All time favorite is the Piece of Cake but I am looking forward to the Pumpkin Pie. I know, too much pumpkin everything everywhere.....but I love it!